Missile Defense Blimps: A Terrible Mistake or an Ingenious Solution? The navy may be experimenting with high-powered lasers, but right now missiles still reign as one of the most reliable methods of taking down enemy targets. It will be a while before the US military needs to concern itself with laser defense systems, but until then it will have to focus on the troubling question of missile defense. The DoD may have a rather unorthodox option for missile defense: blimps. These gigantic, slow-moving aircraft almost seem like the polar opposite of sleek, high-speed missiles. Raytheon’s Joint Land Attack Cruise Missile Defense Elevated Netted Sensor (what a mouthful), also known as JLENS, was designed to scan the skies for incoming cruise missiles so that supporting vessels could shoot it down. Those words of praise came from the guy who helped build it, so you might want to take it with a grain of salt. 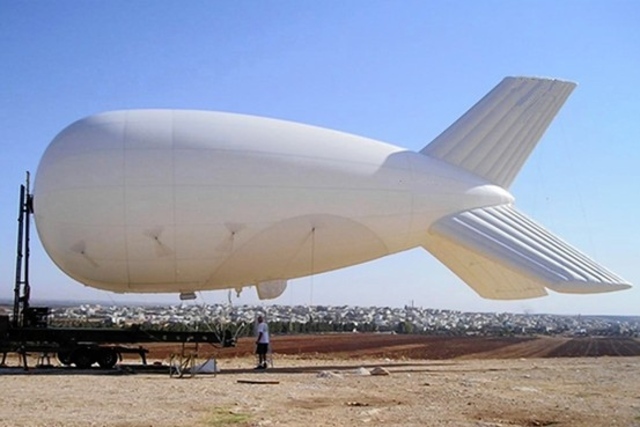 The truth of the matter is that surveillance blimps are struggling. In theory, blimps should be an excellent alternative to drones. They can stay in the sky for months at a time, their sensors have a range of about 350 miles, and they can hit a ceiling of 10,000 feet, which is far above the maximum range of many modern anti-air weapons. So what’s the problem? Bad luck, basically. It seems that every blimp program gets mired in delays, budget cuts, cost hikes, and complicated political matters. One of the prototypes even went the way of the Hindenburg when a commercial vehicle accidentally crashed into it. The Pentagon slashed the number of blimps they were planning to build from 14 to two in order to save $2 billion in costs. Could the JLENS inspire the USAF to put blimps into the sky? Will these ultra-efficient unmanned aircraft ultimately replace fixed-wing aircraft that cost twice as much to fly? It’s hard to say for sure, but military consulting firms can help the USAF prepare for this new wave of portly aircraft. We’ve got the expertise to keep the blimps aloft and operational, the only problem is getting over the budget hurdles and the streak of bad luck.